VDG.com, an aged three letter .com domain, was challenged via the UDRP process at the WIPO. The domain was registered in 1995, and in 2018 Van der Graaf Inc. of Brampton, Canada registered a trademark for VDG. The three member panel at the WIPO found that it was impossible for the Respondent to have known 23 years in advance that there will be a trademark matching the domain. The Complainant is Van der Graaf Inc. of Brampton, Canada, represented by Piasetzki Nenniger Kvas LLP, Canada. The Respondent is Privacydotlink Customer 3564326 of Grand Cayman, Cayman Islands / DUBAI DOMAINS of Dubai, United Arab Emirates, represented by Wiley Rein LLP, United States of America (“United States”). The disputed domain name <vdg.com> is registered with Uniregistrar Corp (the “Registrar”). The Complaint was filed with the WIPO Arbitration and Mediation Center (the “Center”) on October 2, 2018. On October 4, 2018, the Center transmitted by email to the Registrar a request for registrar verification in connection with the disputed domain name. On October 5, 2018, the Registrar transmitted by email to the Center its verification response disclosing registrant and contact information for the disputed domain name which differed from the named Respondent and contact information in the Complaint. The Center sent an email communication to the Complainant on October 10, 2018, providing the registrant and contact information disclosed by the Registrar, and inviting the Complainant to submit an amendment to the Complaint. The Complainant did not amend the name of the Respondent indicated in the Complaint. In accordance with the Rules, paragraphs 2 and 4, the Center formally notified the Respondent of the Complaint, and the proceedings commenced on October 15, 2018. In accordance with the Rules, paragraph 5, the due date for Response was November 4, 2018. Upon request of the Respondent, the due date for Response was extended to November 8, 2018, in accordance with the Rules, paragraph 5(b). The Response was filed with the Center November 6, 2018. The Center appointed Joan Clark O.C., Q.C., Ad.E., Tony Willoughby, and Assen Alexiev as panelists in this matter on December 4, 2018. The Panel finds that it was properly constituted. Each member of the Panel has submitted the Statement of Acceptance and Declaration of Impartiality and Independence, as required by the Center to ensure compliance with the Rules, paragraph 7. On December 13, 2018, the Panel instructed the Center to contact the Registrar to clarify the date when the Respondent acquired the disputed domain name. On December 20, 2018, the Panel issued its Procedural Order No. 1, by which it invited the Respondent to provide, not later than December 28, 2018, evidence that the current registrant of the domain name (Dubai Domains of Dubai, United Arab Emirates) is the same entity as the one specified in the invoice of December 22, 2017 (Annex 1 to the Response) and the entity that was listed in the WhoIs record for the disputed domain name of January 7, 2018 (Annex 2 to the Response). With the same Procedural Order, the Panel also provided an opportunity to the Complainant to submit, by no later than January 8, 2018, its comments on the Registrar’s statement of December 13, 2018 in relation to the date when the Respondent acquired the disputed domain name and the submission of the Respondent in response to Procedural Order No. 1. On December 28, 2018, the Respondent filed its submission in response to the Procedural Order No. 1, and on January 8, 2019, the Complainant filed its submission in response to the Procedural Order No. 1. In view of its findings in section 6C below and in order to ensure that the present decision has effect as regards the current registrant of the disputed domain name, the Panel, exercising its authority under paragraph 10(a) of the Rules, has added Dubai Domains as the Respondent in this proceeding. The Complainant Van der Graaf Inc. designs and manufactures drum motors and related equipment. It is the owner of the European Union trademark VDG with registration No. 017686346, registered on May 14, 2018 for goods and services in International Classes 7, 37 and 41 (the “VDG trademark”). The VDG trademark application was published on February 5, 2018, and has priority as of January 10, 2018 on the basis of another trademark application with No. 1876721 for VDG filed by the Complainant in Canada on the same date, which application is still pending. The disputed domain name was originally registered by a third party on February 9, 1995. On April 10, 2018, the Registrar registered the Respondent Dubai Domains as registrant of the disputed domain name. At the time of the issuance of the present decision, the disputed domain name redirects visitors to a webpage of the Registrar where the disputed domain name is listed for sale and which invites interested parties to submit inquiries for its purchase. The Complainant submits that the disputed domain name is identical to the VDG trademark as it consists of the same trademark in which the Complainant has rights based on registration, application and use, and at common law. The Complainant states that it commenced using its VDG trademark in the United States at least as early as January 30, 2018, as evidence of which it submits a photo of a machine that it had exhibited at a trade show in Atlanta, United States, which took place in the period January 30, 2018 to February 1, 2018. The Complainant maintains that the Respondent has no rights or legitimate interests in the disputed domain name. It points out that its trademark was applied for and used in the United States, Canada and Europe well before the disputed domain name was registered by the Respondent. The Complainant further states that it has not given the Respondent any permission to use the VDG trademark, and the Respondent has not used the disputed domain name in connection with a bona fide offering of goods or services. Since April 19, 2018, the disputed domain name has redirected to a webpage that informs visitors that the disputed domain name is available for sale. The Complainant refers to the WhoIs record for the disputed domain name, which according to it shows that the disputed domain name was transferred to the Respondent on April 10, 2018. The Complainant also submits that the Respondent is not commonly known by the disputed domain name and is not making a legitimate noncommercial or fair use of it. According to the Complainant, the disputed domain name has never resolved to an active website since the Respondent registered it, and the fact that the Respondent has offered the disputed domain name for sale is evidence that the Respondent does not intend to use the disputed domain name for a legitimate purpose in the future, but only to sell it to another party, including the Complainant and its competitors, for valuable consideration in excess of the Respondent’s out-of-pocket costs directly related to the disputed domain name. The Complainant contends that the disputed domain name was registered and is being used in bad faith, as it was registered or acquired by the Respondent primarily for the purpose of selling, or otherwise transferring it to the Complainant or to a competitor of the Complainant for valuable consideration in excess of the Respondent’s out-of-pocket costs directly related to the disputed domain name. According to the Complainant, the Respondent acquired the disputed domain name only after the Complainant’s trademark applications for VDG were filed in Canada, the United States and the European Union and after these applications were all published by February 5, 2018. According to the Complainant, the creation of a domain name by a third party, different from the respondent does not preclude a finding of bad faith, which can be found where the respondent’s domain name acquisition shortly follows the complainant’s filing of the relevant trademark applications. The Respondent would have been aware of the Complainant’s trademark from publicly available records at the European Union, United States, and Canadian Trademark Offices, or via third party trademark data aggregators. Moreover, the Respondent would have been aware that VDG is neither a descriptive term, nor a common three-letter acronym used by many third parties for a variety of services, but the specific trademark in which the Complainant had established rights. A simple search of the Canadian trademarks database reveals that the Complainant is the only applicant for the VDG trademark. Similarly, a search of the European Union trademark database reveals that the Complainant is one of only two registrants of the VDG trademark for unrelated goods and services, while a search of the United States trademark database reveals that besides the Complainant there are only two registered owners of the VDG trademark for unrelated goods and services. According to the Complainant, these circumstances show that the Registrant had targeted the VDG trademark of the Complainant. The Complainant also notes that since it was registered to the Respondent, the disputed domain name has never resolved to an active website, but has only been offered for sale in an attempt to sell it to another party including the Complainant and its competitors for valuable consideration in excess of the Respondent’s out-of-pocket costs directly related to the disputed domain name. When an employee of the Complainant attempted to purchase the disputed domain name via the webpage of the Registrar linked to the disputed domain name, the Respondent or its agent’s reply indicated that the transfer price was USD 175,000 or “in the six figure range”. The Complainant also maintains that the disputed domain name was registered or acquired by the Respondent in order to prevent the Complainant from reflecting its VDG trademark in a corresponding domain name, thereby forcing the Complainant to buy the disputed domain name from the Respondent for valuable consideration in excess of the Respondent’s out-of-pocket costs directly related to the disputed domain name. According to the Complainant, the Respondent’s use of a proxy registration service to avoid disclosing its name and coordinates is consistent with an inference of bad faith in registering and using the disputed domain name. In its submission in response to Procedural Order No. 1, the Complainant maintains that the April 8, 2018 transfer of the disputed domain to the current Registrar gives rise to a rebuttable presumption that this transfer is a new registration of the disputed domain name and that the burden is on the Respondent to overcome this presumption. The Complainant points out that the WhoIs record, dated April 10, 2018, shows that the Respondent is Dubai Domains, and does not mention any other entities including Lowcrest Marketing LTD. All members of the public are entitled to presume that the WHOIS record is accurate and that the transfer of the disputed domain name to Dubai Domains from a party having an entirely different name is a new registration by an entity having no relation to any previous registrant. According to the Complainant, in order to overcome the presumption that the April 8, 2018 transfer is a new registration, the Respondent must bring evidence showing that there is an unbroken chain in underlying ownership as between itself and the previous registrants, and that the transfer was not made for the purpose of concealing the underlying owner’s identity. The Respondent’s submissions do not establish an unbroken chain of underlying ownership as between the listed owner of the disputed domain on December 22, 2017 – Lowcrest Marketing LTD, the listed owner of the disputed domain on January 7, 2018 – Lwcrst Mrktng, and the Respondent Dubai Domains. The Complainant further states that the Respondent’s submissions do not address the irregularities in the evidence and WhoIs records that otherwise suggest an attempt to conceal the underlying owner’s identity, including the identity and place of incorporation of the various entities involved, and the reasons for the several transfers across jurisdictional boundaries, the reasons why the address for the Respondent is incomplete, and the reason why the information provided to the proxy registration service was incorrect. The Complainant notes that these issues would not have arisen had the Respondent produced the relevant registration documents of the involved entities. The Complainant also raises the question why Mr. Kalfayan’s declaration was signed but not sworn in Canada, and why Lowcrest Marketing LTD was able to purchase the disputed domain name in December 2017 for only 14,600 US Dollars, when the seller had acquired it only two months before for 19,500 US Dollars. According to the Complainant, these unexplained irregularities suggest an attempt to conceal the underlying owner’s identity. Consequently, even supposing that an unbroken chain of underlying ownership is inferable from the Respondent’s evidence, it should be disregarded. The Complainant submits that the facts of this case do not support a finding of reverse domain name hijacking. The finding requires that the Complainant must have known at the time of filing of the Complaint that it could not succeed. Here, even supposing that the Respondent’s evidence did show an unbroken chain of underlying ownership, the Complainant could not have ascertained the existence of that unbroken chain, because the Respondent used a proxy registration service, the WHOIS record does not mention Lowcrest Marketing LTD as an entity, and the Complainant became aware of its alleged relationship to Dubai Domains only from the Response. The Respondent submits that it is Lowcrest Marketing Ltd. d/b/a Dubai Domains. The Respondent requests the rejection of the Complaint and a finding of Reverse Domain Name Hijacking against the Complainant. 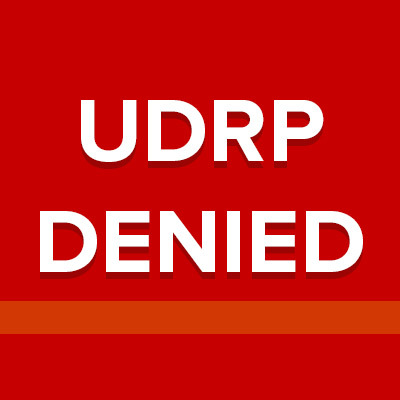 According to the Respondent, the Complaint uses the UDRP as a “plan B”, because the business negotiations between the Parties for the sale of the disputed domain name did not lead to a price acceptable to the Complainant. The disputed domain name is a highly sought-after three letter domain name, and the Respondent paid 14,600 US Dollars to acquire it on December 22, 2017. The Respondent points out that the Complainant acquired rights in the VDG trademark only after the registration of the disputed domain name by the Respondent. The VDG trademark was registered on May 14, 2018 based on an application filed on January 12, 2018, and the trademark applications for VDG in the United States and Canada do not give rise to trademark rights. The photographs from a single trade show submitted by the Complainant are not sufficient to establish common law trademark rights. To establish common law rights in a trademark, a complainant must demonstrate that its trademark has achieved a secondary meaning associated solely with that complainant. Simply doing business under a trade name does not establish secondary meaning; rather, a complainant must demonstrate through sufficient evidence that the relevant purchasing public has come to recognize the name as a trademark. The Complainant has provided no evidence as to the length and continuity of its use of VDG as a trademark, advertising and promotional activities, expenditures relating to promotion and marketing, sales figures, or media recognition. According to the Respondent, the acquisition of a generic domain name for resale is a bona fide activity as long as it does not encroach on third parties’ trademark rights; a respondent can demonstrate legitimate interests in a domain name by showing that it has paid substantial sums to acquire it before notice of any dispute with the complainant. The Respondent submits that its intent when it acquired the disputed domain name was to acquire a valuable domain name for its value as a three letter “.com” domain name to add to its domain portfolio for possible resale. This intent is evidenced by the substantial purchase price paid at a public auction and by the generic nature of the three-letter domain name. The Respondent maintains that it could not have registered the disputed domain name with knowledge that it corresponded to the Complainant’s VDG trademark and with the intent to sell it to the Complainant for an excessive sum because the Complainant did not have rights in the VDG trademark when the Respondent registered the disputed domain name. The Respondent denies that it has used the disputed domain name to target the Complainant; it only offered the disputed domain name generally for sale. A registrant of a domain name is within its rights to register a generic or commonly descriptive term in expectation or hope that it will prove to have a value to a third party and may eventually be sold at a profit.  This is particularly true for three letter domain names, which are generally in widespread use as acronyms or otherwise. The Respondent’s offer to sell the disputed domain name for a high price cannot in itself indicate bad faith at the time of registration. The Respondent maintains that it could not have registered or acquired the disputed domain name in order to prevent the owner of the VDG trademark from reflecting the trademark in a corresponding domain name, because the Complainant did not have trademark rights at the time of registration. According to the Respondent, there are recognized legitimate uses of privacy and proxy registration services, including the ease of account management and re-registration, the avoidance of identity theft, and the evasion of spam. Once privacy was lifted in the present proceeding, the Complainant and the Center were able to contact the Respondent using the provided underlying data. In its submission in response to Procedural Order No. 1, the Respondent maintains that it acquired the disputed domain name in December 2017 when it purchased it for 14,600 US Dollars, and that the current registrant of the disputed domain name, Dubai Domains, is the same entity as the one that was listed in the WhoIs record for the disputed domain name as of January 7, 2018, submitted with the Response.  At that time, the disputed domain name was registered with the registrar GoDaddy, and after acquiring it, the Respondent transferred the registration of the disputed domain name to the current Registrar, Uniregistrar Corp. The Respondent states that it has owned the disputed domain name since December 22, 2017. The current registrant Dubai Domains is not a formal corporate entity, but a trade name used by Mr. Kalfayan, the principal of Lowcrest Marketing Ltd. Mr. Kalfayan funded the purchase of the disputed domain name through a personal account, and also controls the email addresses which are reflected in the Afternic purchase receipt for the disputed domain name, the January 7, 2018 WhoIs record for the disputed domain name, and the current WhoIs record for it provided by the Registrar. When the disputed domain name was initially registered with the registrar GoDaddy, it was registered in the name of Lowcrest Marketing Ltd. abbreviated as “Lwcrst Mrktng”, which was the entity that acquired the disputed domain name from Afternic. With the transfer of the domain name to the current Registrar Uniregistrar Corp, the registrant name was changed from Lwcrst Mrktng to Dubai Domains, which is the trade name under which Lowcrest Marketing Ltd. operates. Since Mr. Kalfayan controls Dubai Domains and the formal corporate entity Lowcrest Marketing, the disputed domain name has an unbroken chain of underlying ownership by a single entity or within a genuine conglomerate. In support of its contentions, the Respondent submits a declaration by Mr. Robert Kalfayan. The Complainant has provided evidence and has thus established its rights in the VDG trademark. The Panel notes that a common practice has emerged under the Policy to disregard in appropriate circumstances the generic Top-Level Domain section of domain names for the purposes of the comparison under the Policy, paragraph 4(a)(i). The Panel sees no reason not to follow the same approach here, so it will disregard the “.com” gTLD section of the disputed domain name. The relevant part of the disputed domain name is therefore the sequence “vdg”, which is identical to the VDG trademark. In view of the above, the Panel finds that the disputed domain name is identical to the VDG trademark in which the Complainant has rights. In view of the finding of the Panel under section 6C below that the Complainant has failed to establish that the Respondent has registered and used the disputed domain name in bad faith, it is not necessary to make a finding of whether the Respondent has rights and legitimate interests in the disputed domain name. The Complainant contends that the Respondent acquired the disputed domain name on April 10, 2018 targeting the Complainant’s VDG trademark and for the purpose of selling the disputed domain name to the Complainant for valuable consideration in excess of the Respondent’s out-of-pocket costs directly related to the disputed domain name. According to the Complainant, the Respondent acquired the disputed domain name only after the Complainant’s trademark applications for VDG were filed in Canada, the United States, and the European Union, and after these applications were all published by February 5, 2018. In view of the above, the Panel sees no reasons to accept that the Respondent had knowledge of the Complainant as of December 22, 2017, and that it registered the disputed domain name targeting the Complainant’s VDG trademark. The Respondent’s allegation that the disputed domain name is attractive and has a significant value is not denied by the Complainant, and in the circumstances of this case this appears as a credible explanation for the acquisition of the disputed domain name by the Respondent. The Complainant does not contend that the communications between the Parties in respect of the possible sale of the disputed domain name were initiated by the Respondent, and the webpage to which the disputed domain name redirects contains only an invitation to the general public to submit offers for the purchase of the disputed domain name. The case file contains no evidence that the Respondent has somehow targeted the Complainant with its actions after the registration of the disputed domain name. Taking into account all the above circumstances, the Panel’s conclusion is that the Complainant has not established that the disputed domain name has been registered and used in bad faith. The Respondent requests a finding of reverse domain name hijacking with the argument that the Complainant must have known that its Complaint would not succeed when it filed it with the Center. However, prior to the submission of the Complaint, the Complainant did not have access to information about the identity of the Respondent, and prior to the submission of the Response, the Complainant could not have been aware of the December 22, 2017 acquisition of the disputed domain name by the Respondent or by the entity that controls the Respondent. In such situation, the Panel finds no evidence that the Complainant was acting in bad faith when it based its Complaint on the assumption that the Respondent had acquired the disputed domain name in April 2018. These considerations lead the Panel to the conclusion that a finding of reverse domain name hijacking is not warranted in the present case.